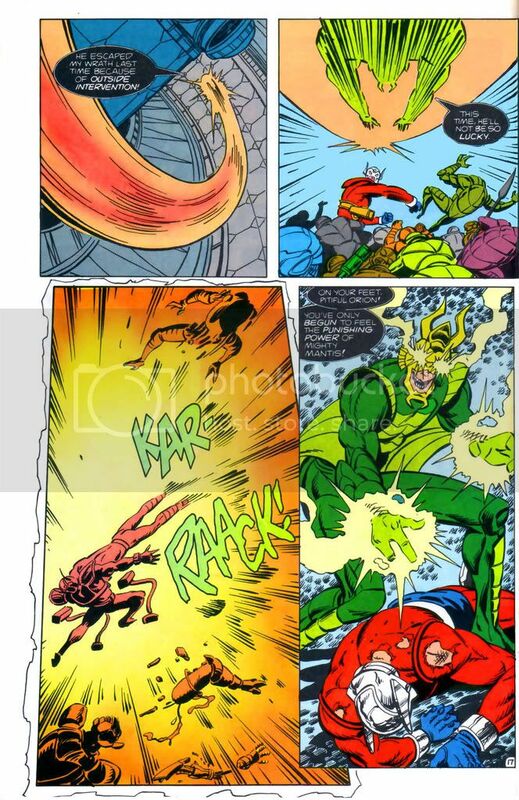 Mantis often has to enter his Pod, which recharges him full of energy as he can depending on what he is doing deplete his energy fairly quickly. 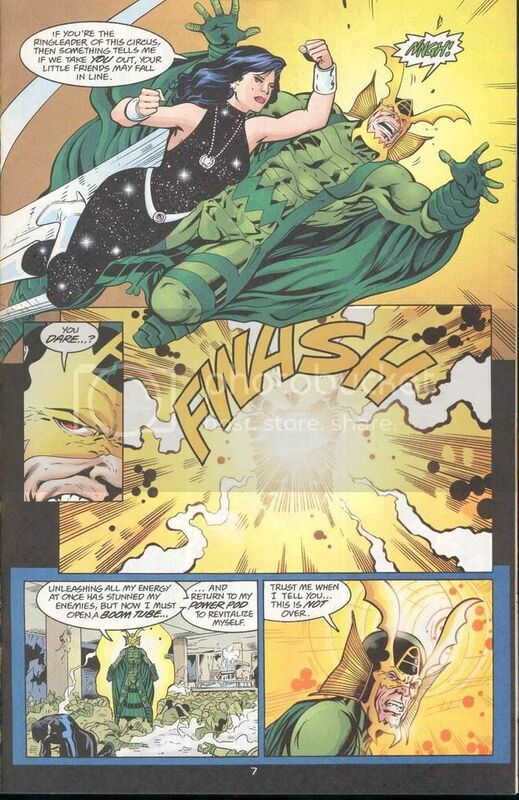 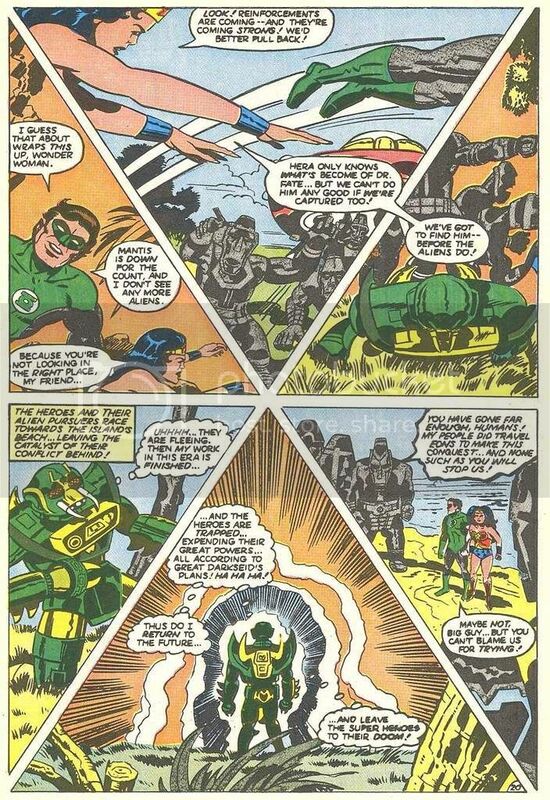 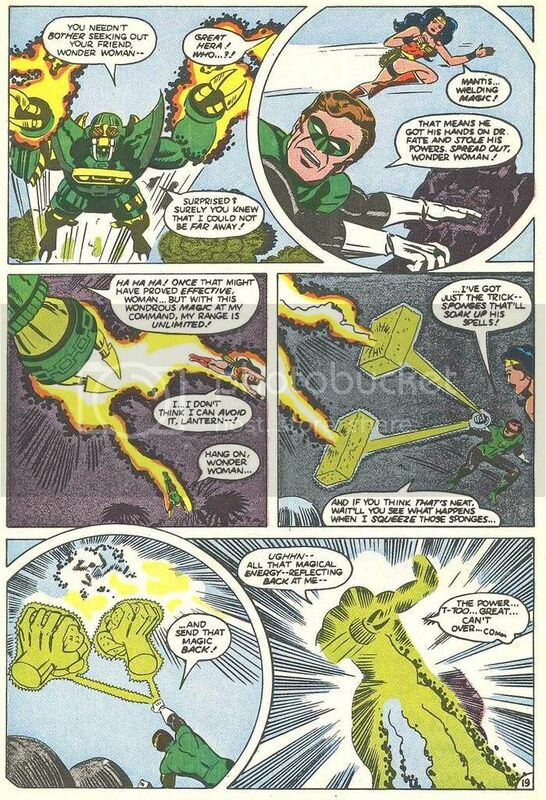 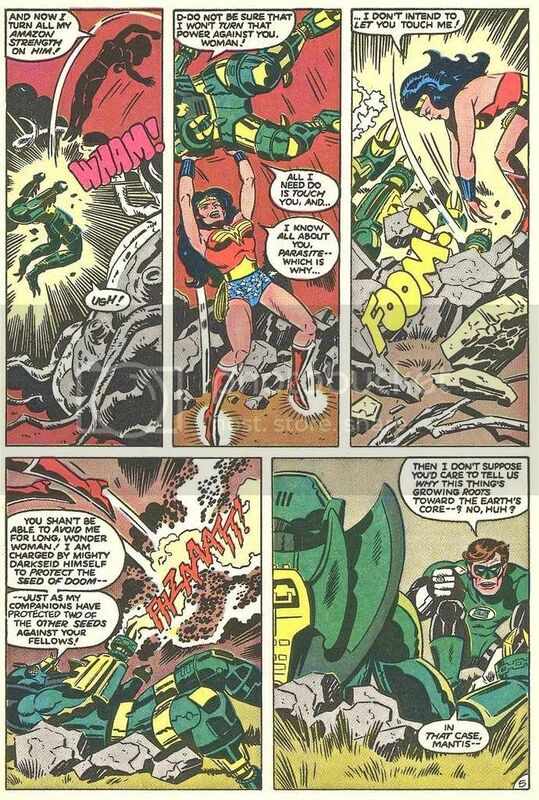 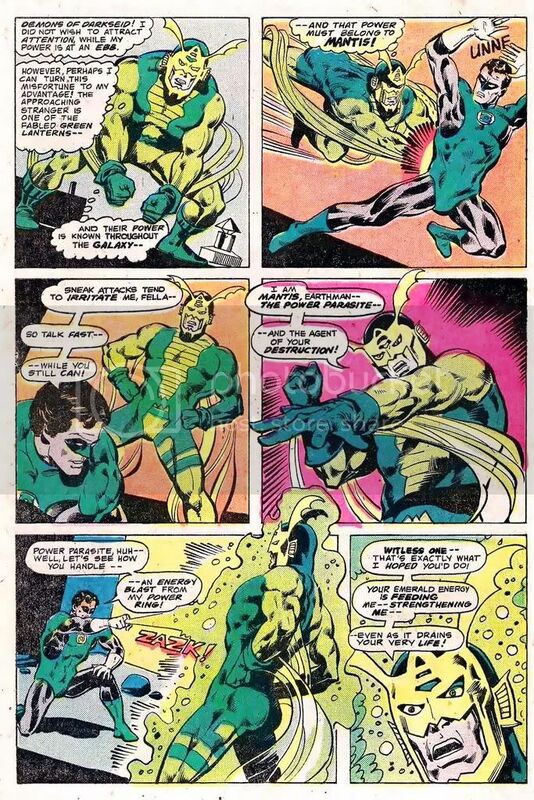 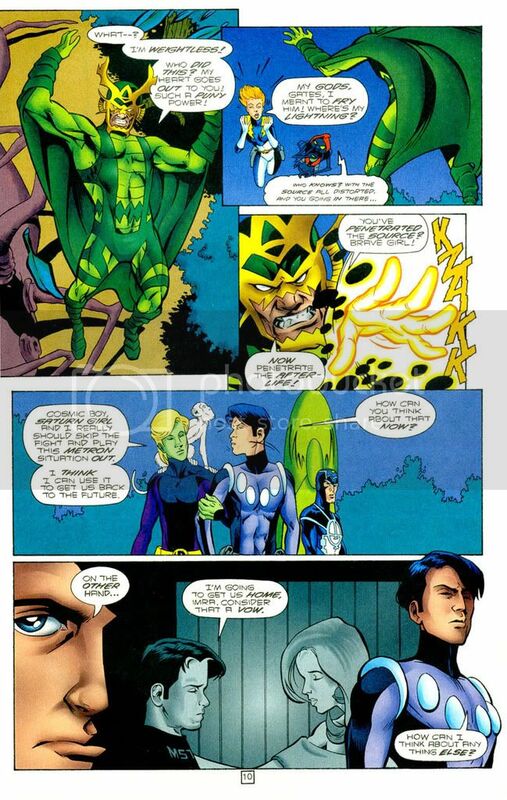 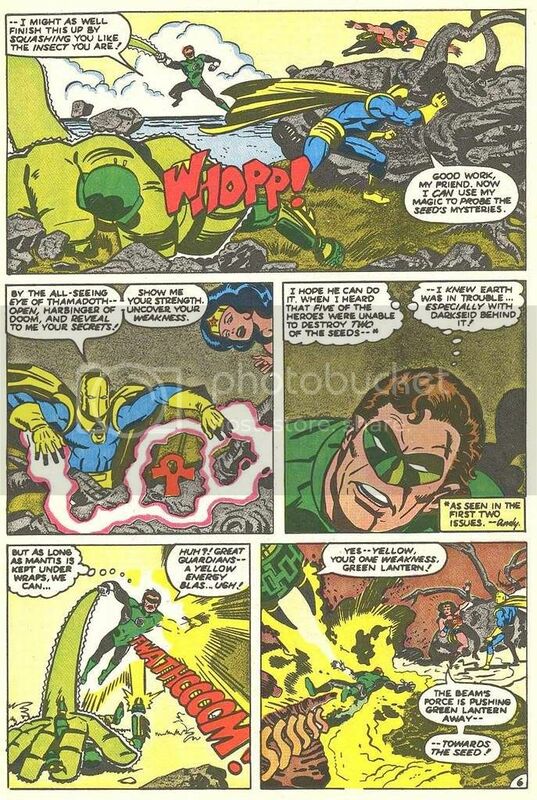 Mantis makes short work of Hal Jordan and absorbs all the energy from his power ring and added it all to his power. 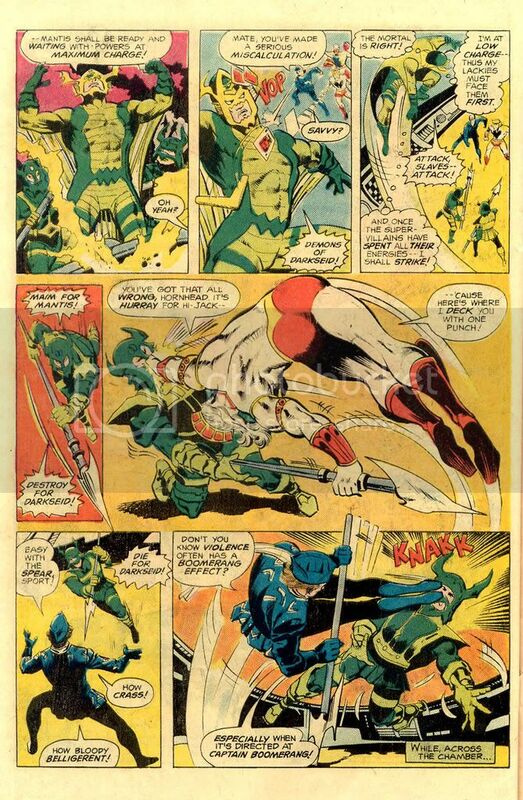 Here he instantly melts one of Manhunter’s blades. 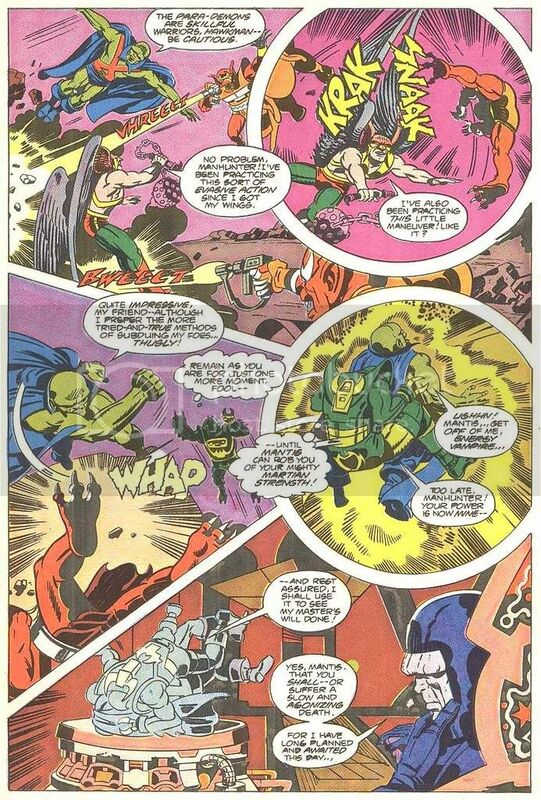 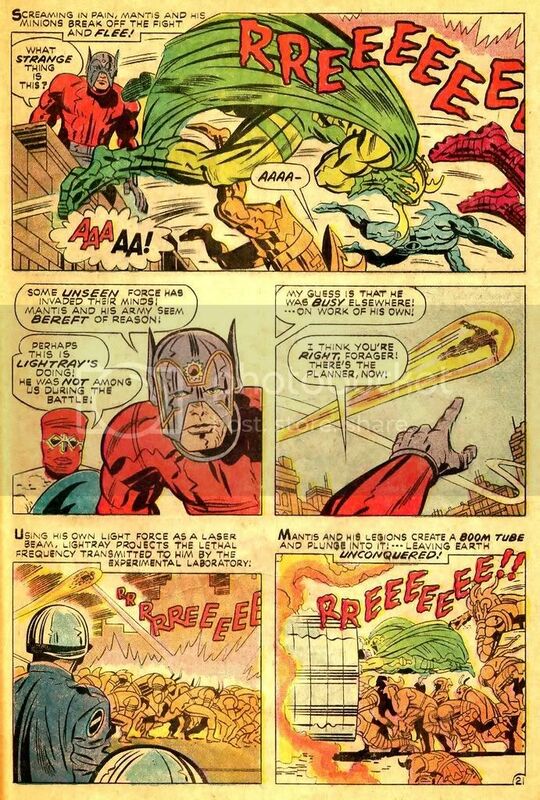 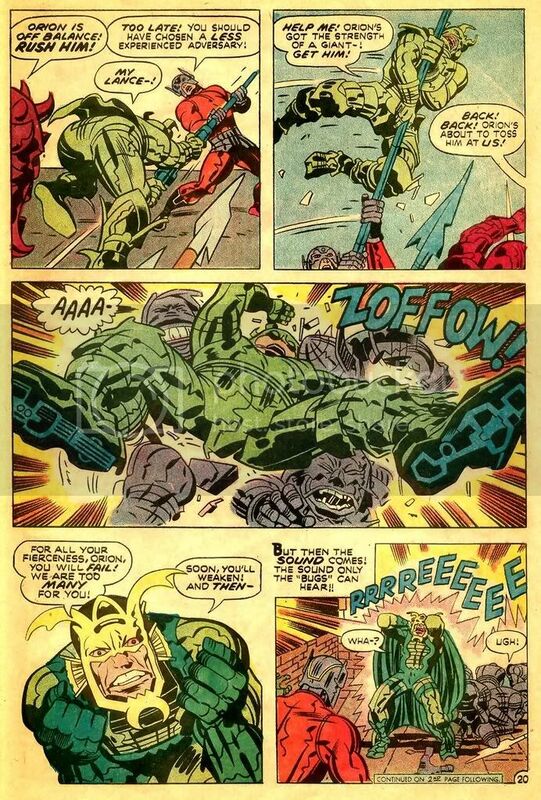 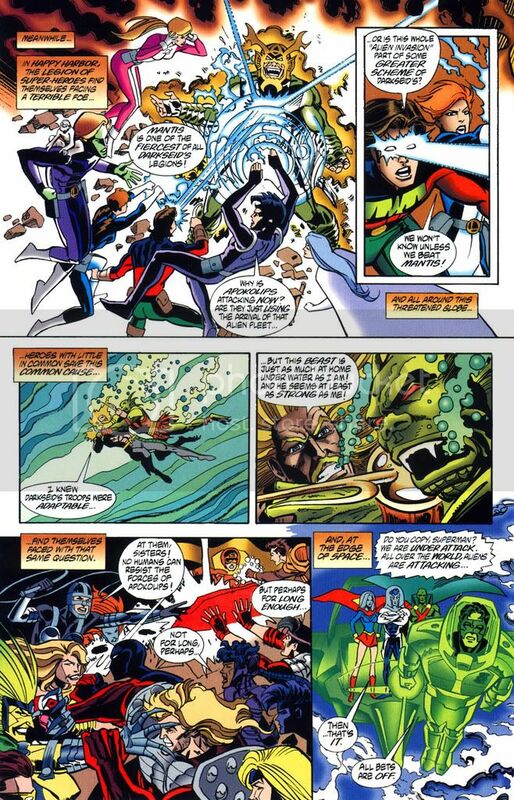 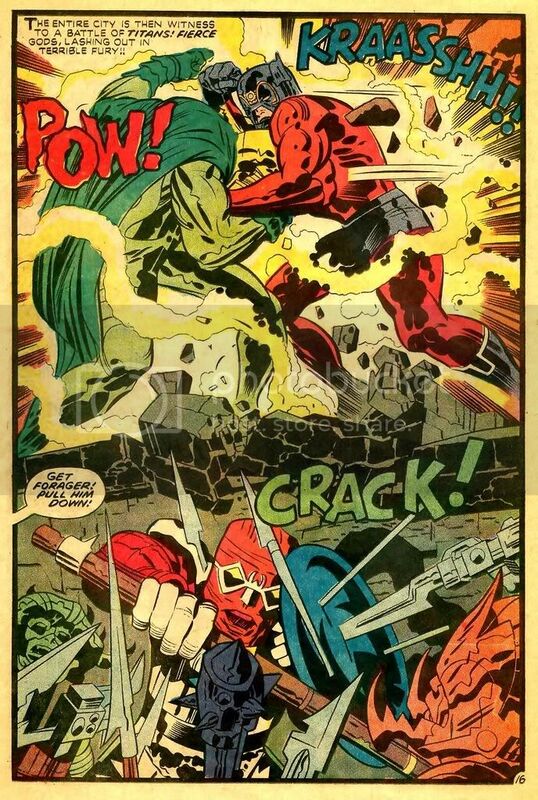 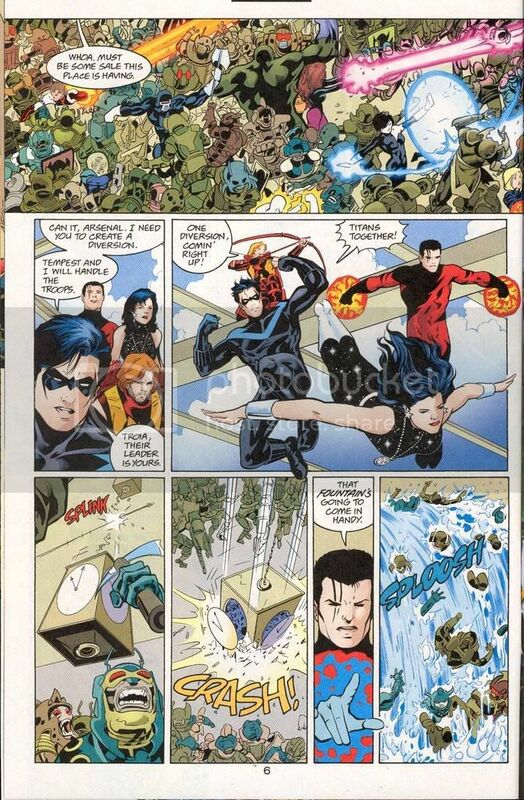 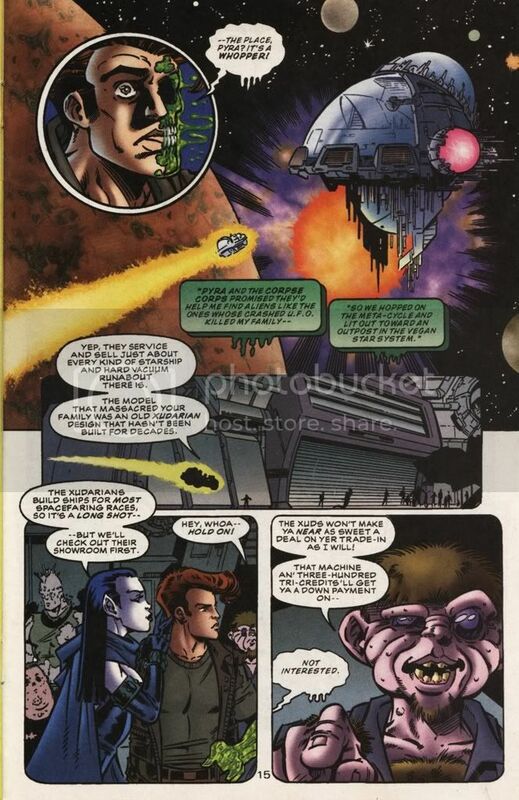 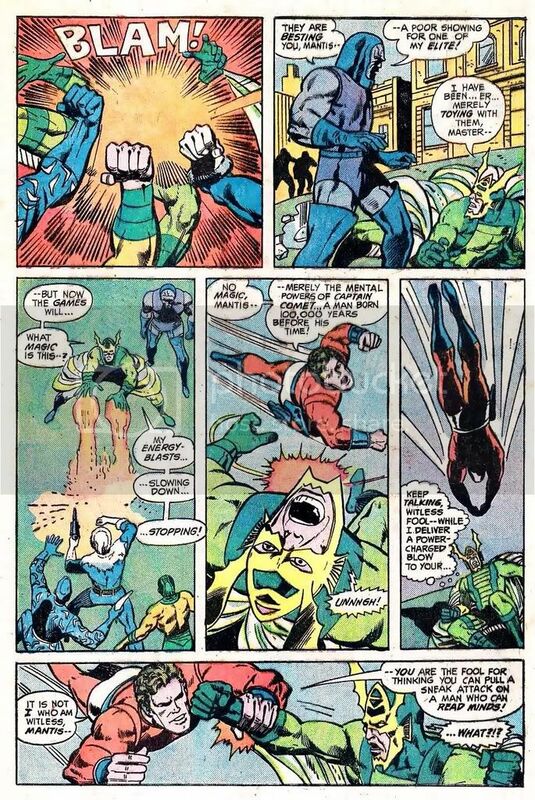 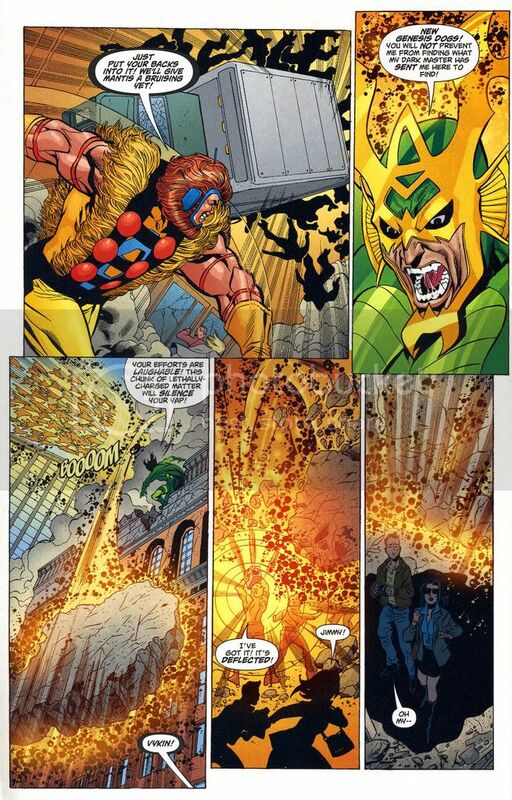 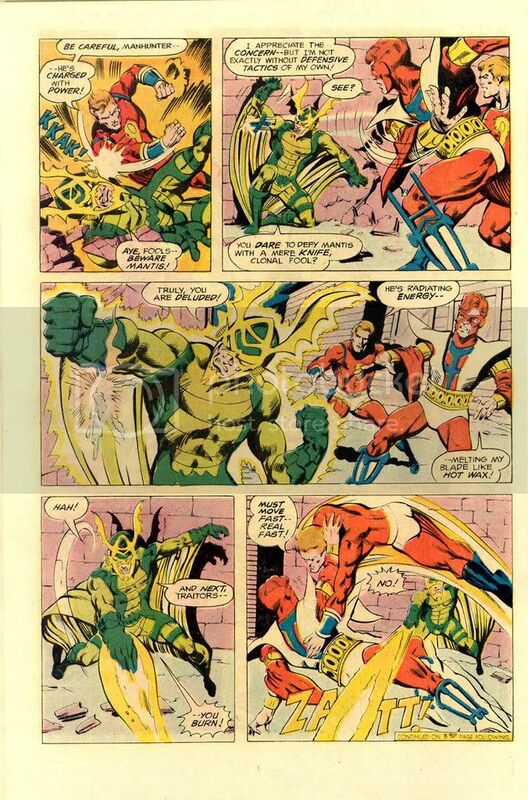 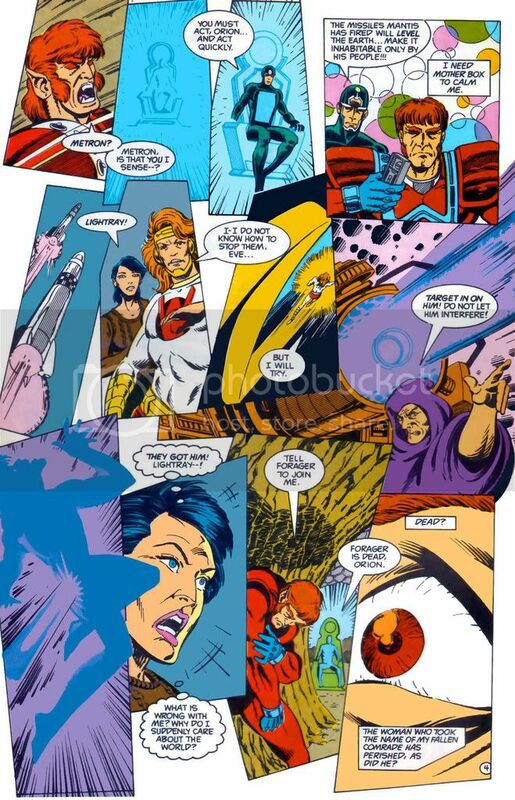 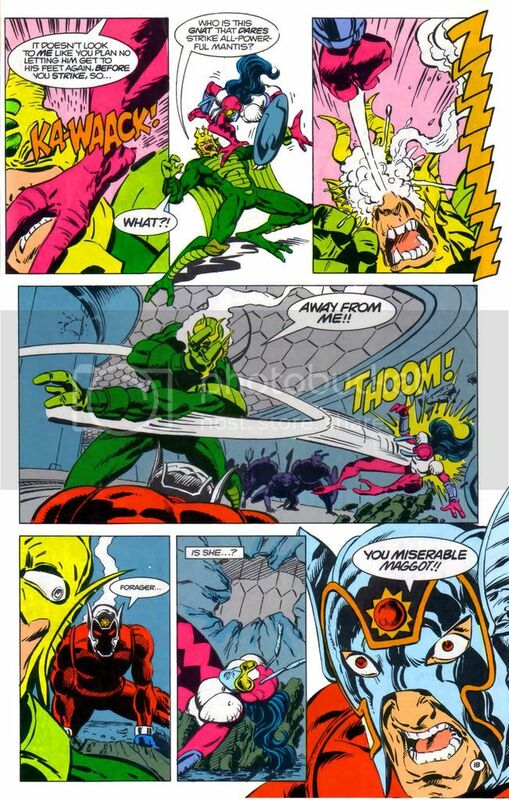 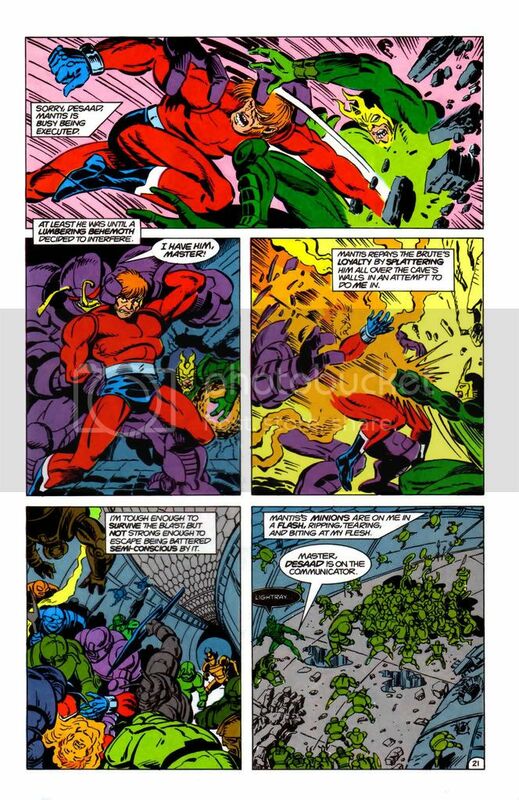 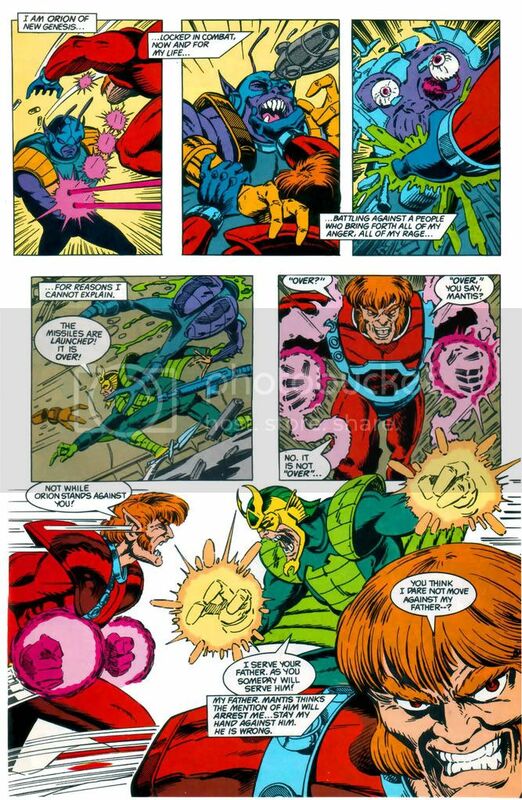 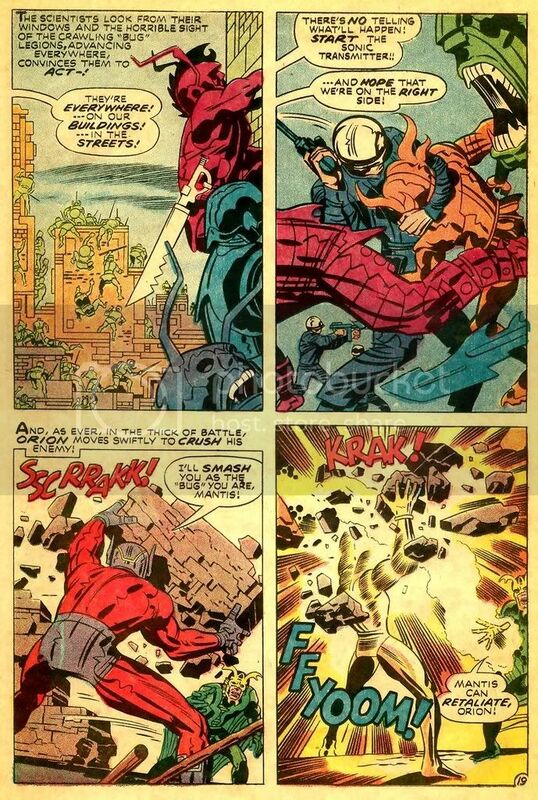 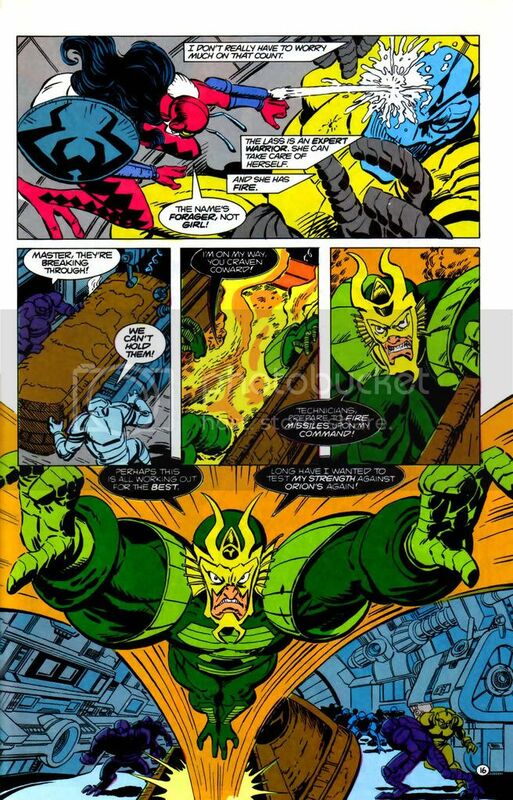 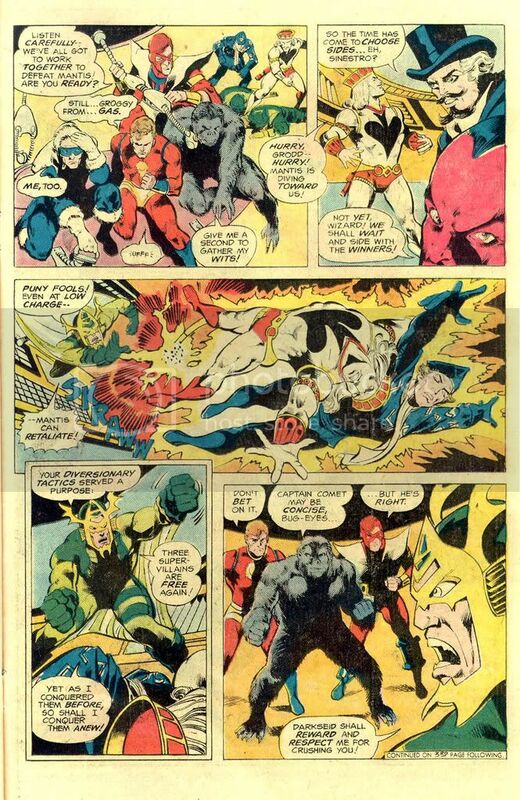 Pretty big battle, Mantis has the advantage but Orion goes completely berserk and unleashes all his power he has defeating Mantis but it takes all he has to do it. 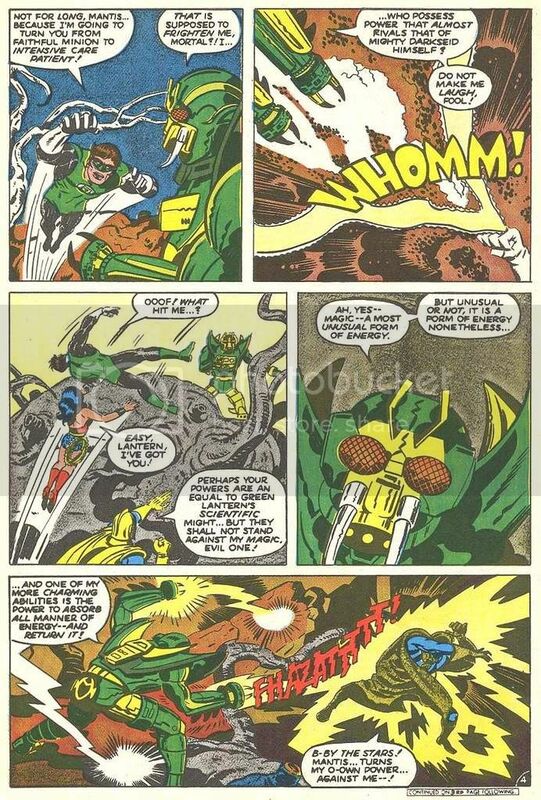 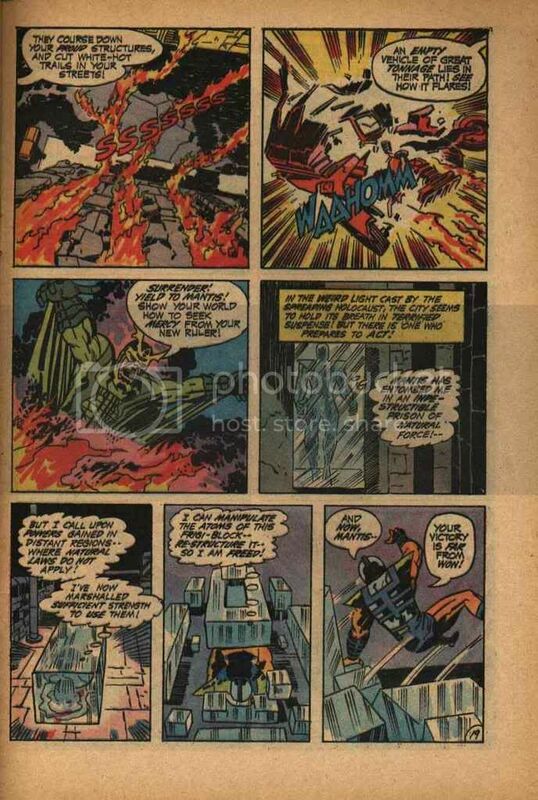 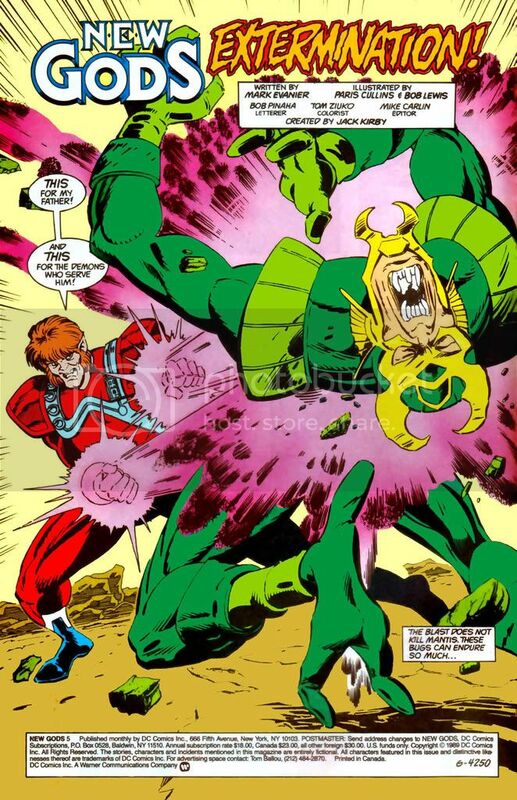 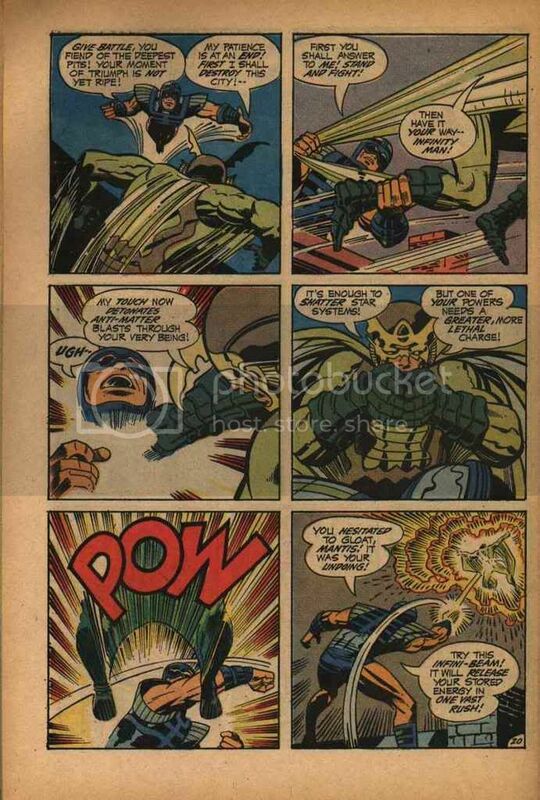 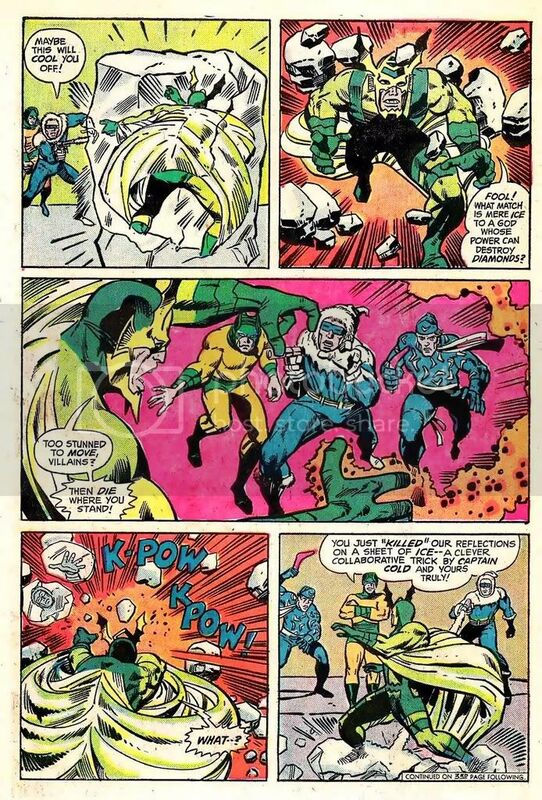 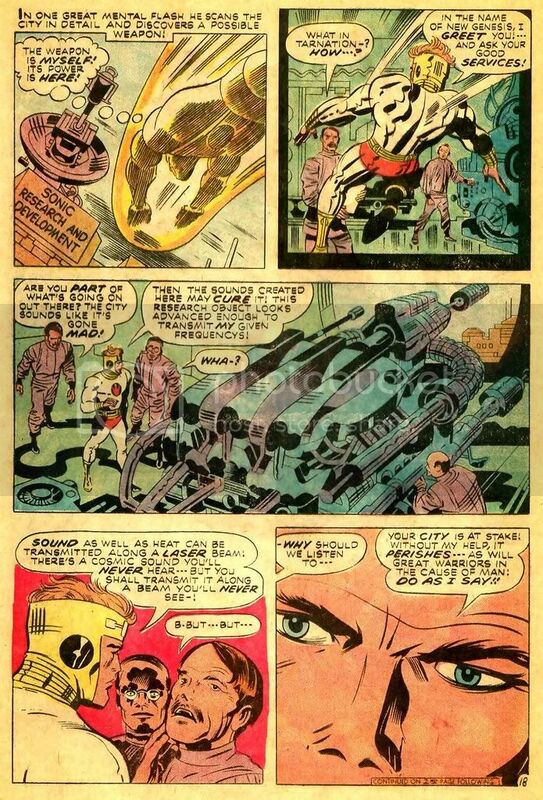 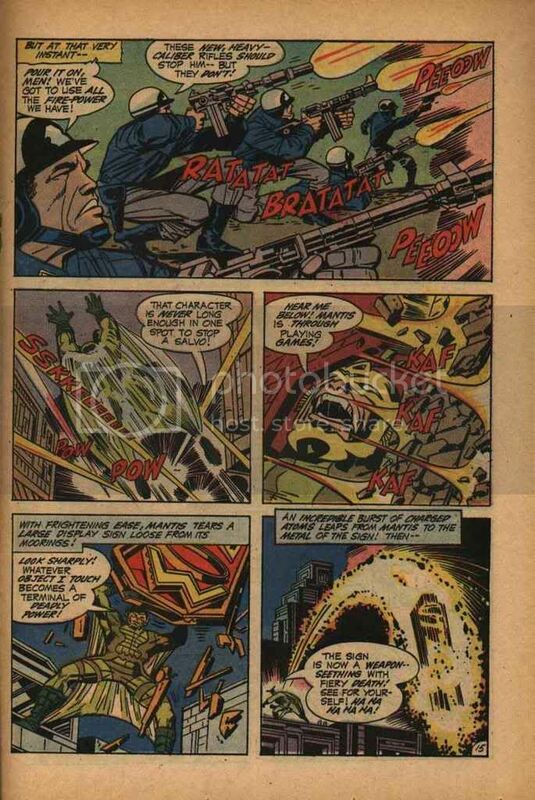 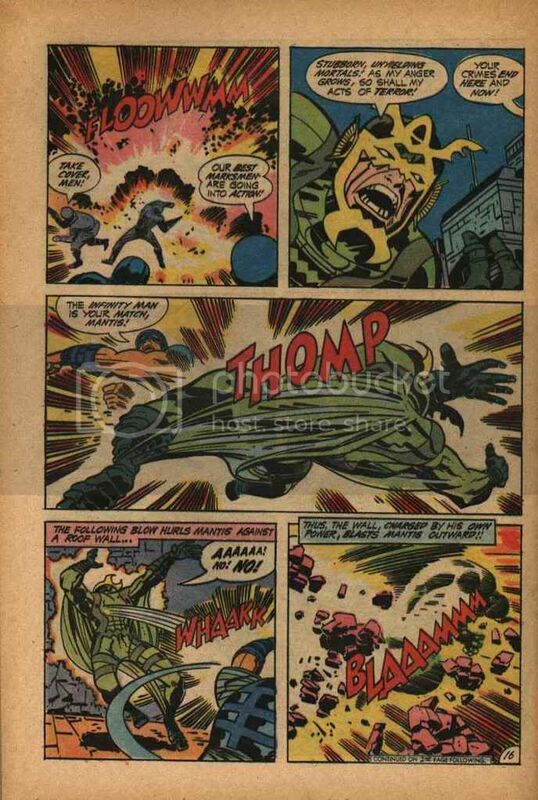 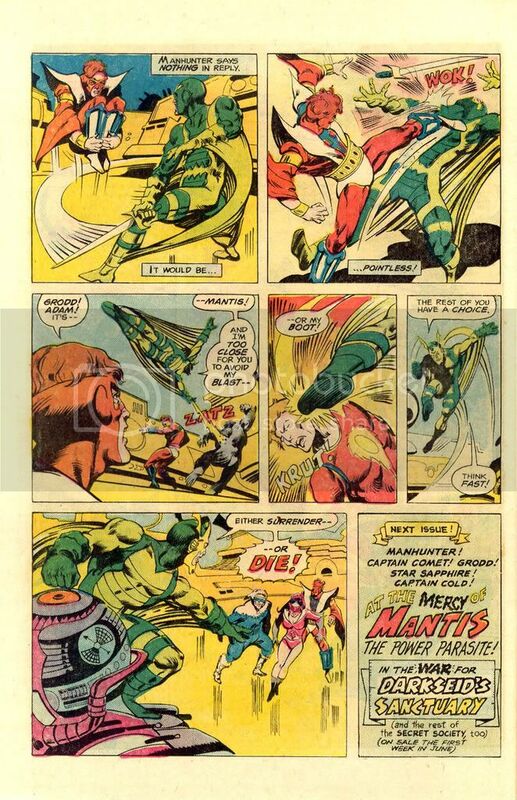 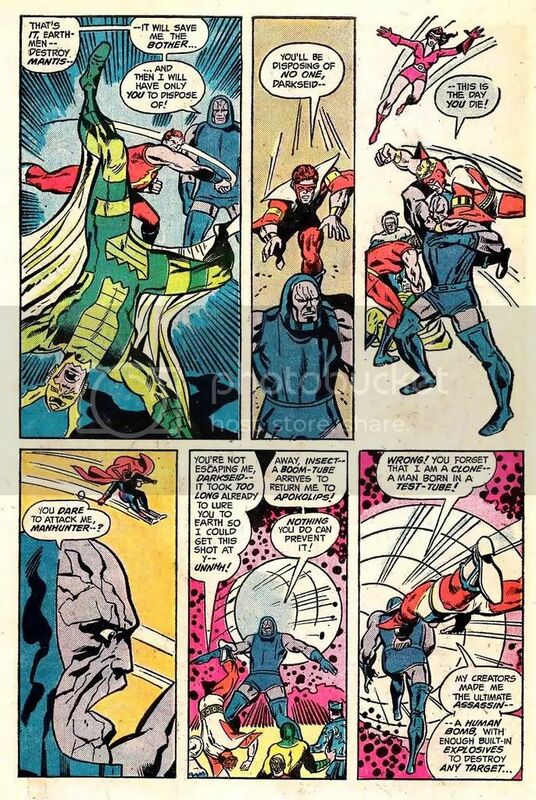 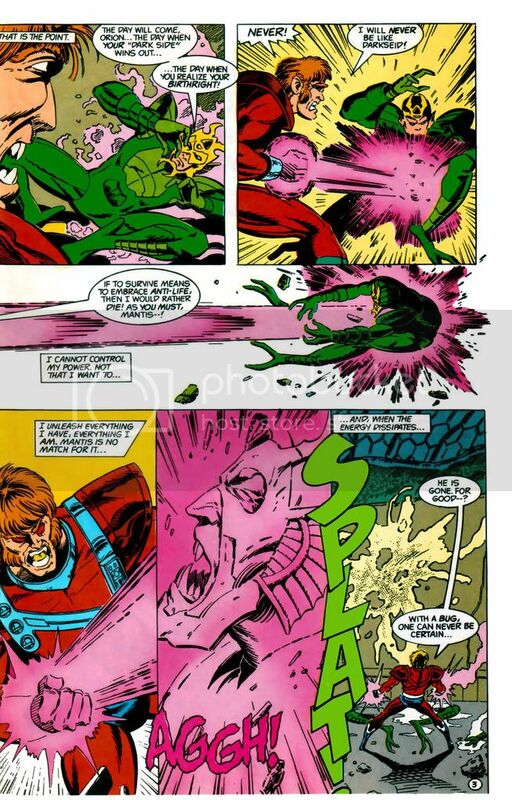 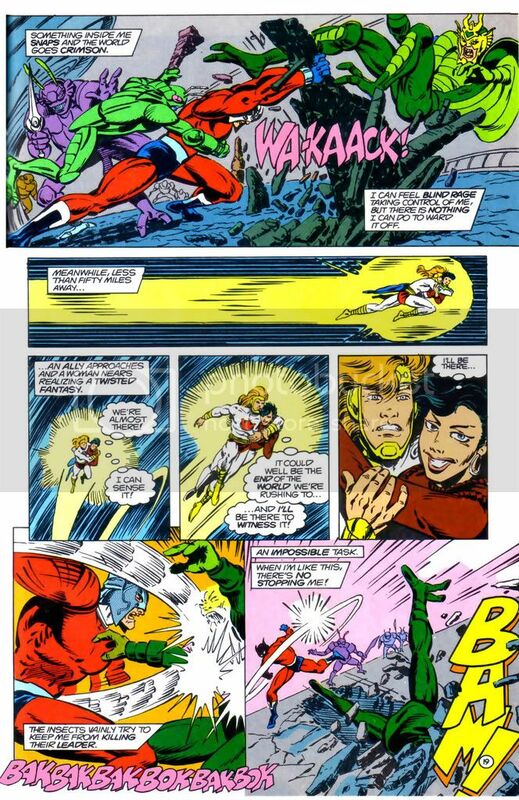 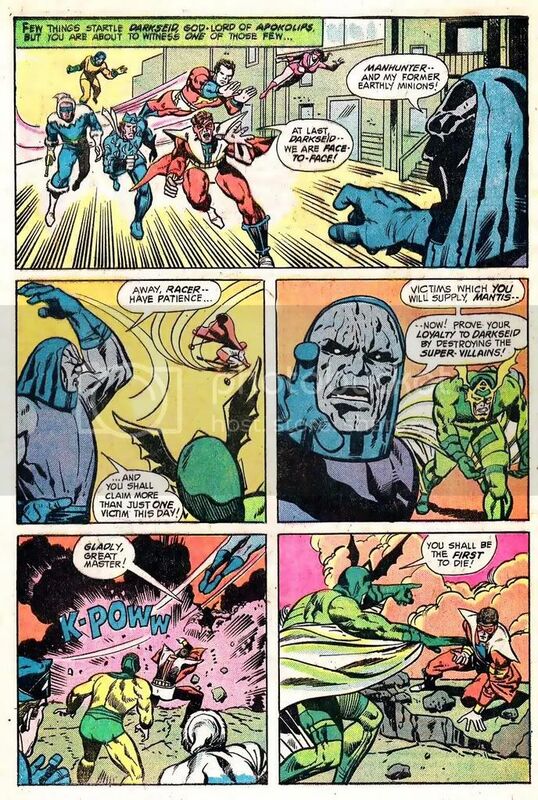 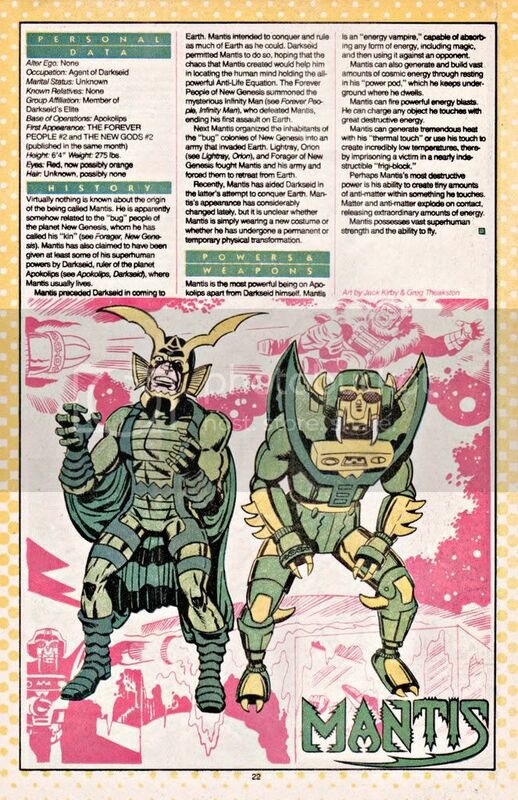 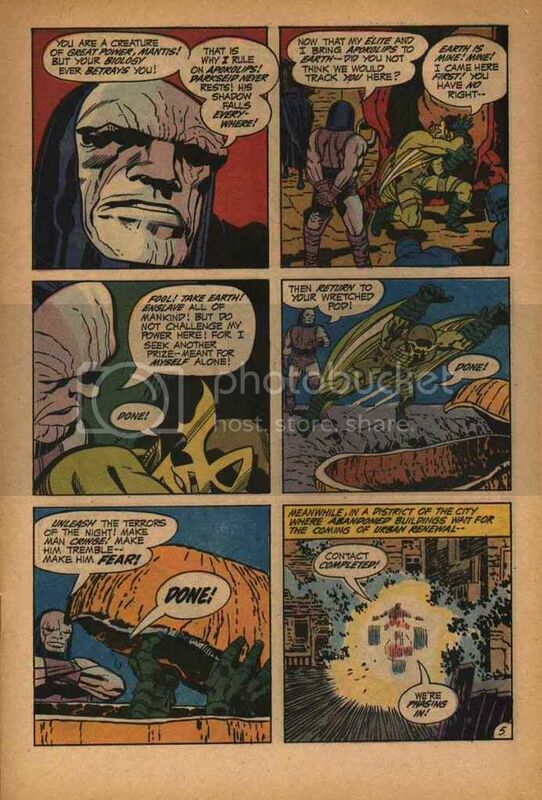 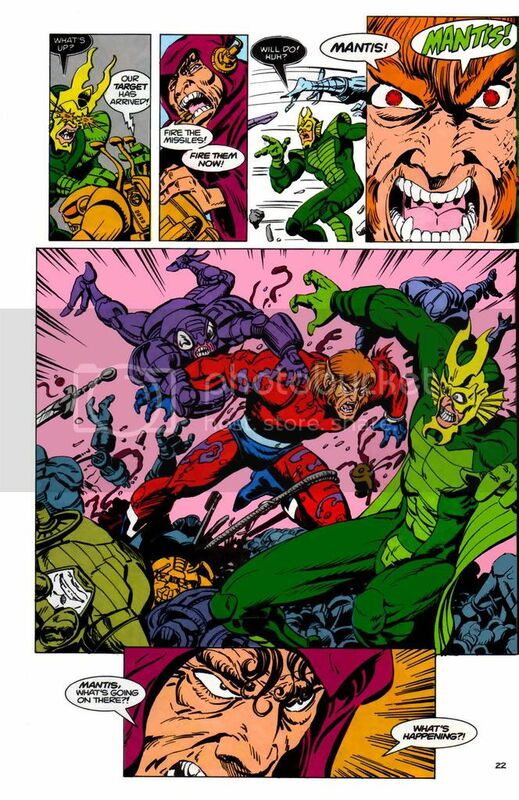 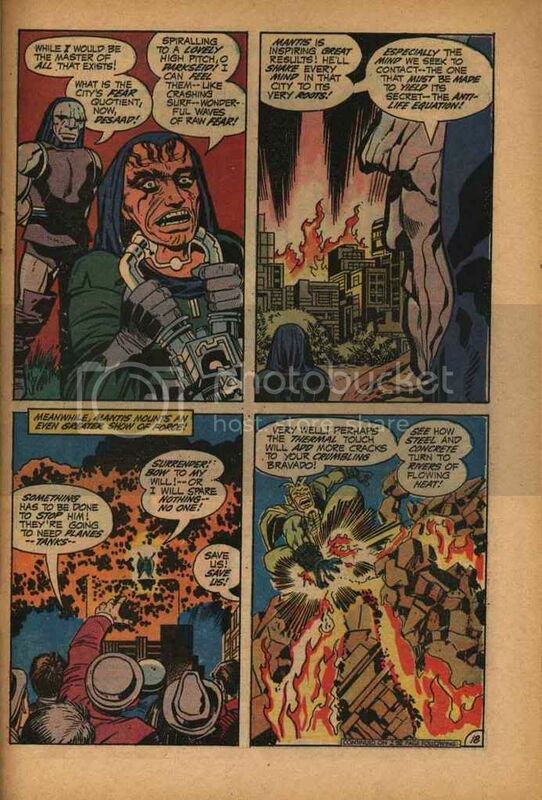 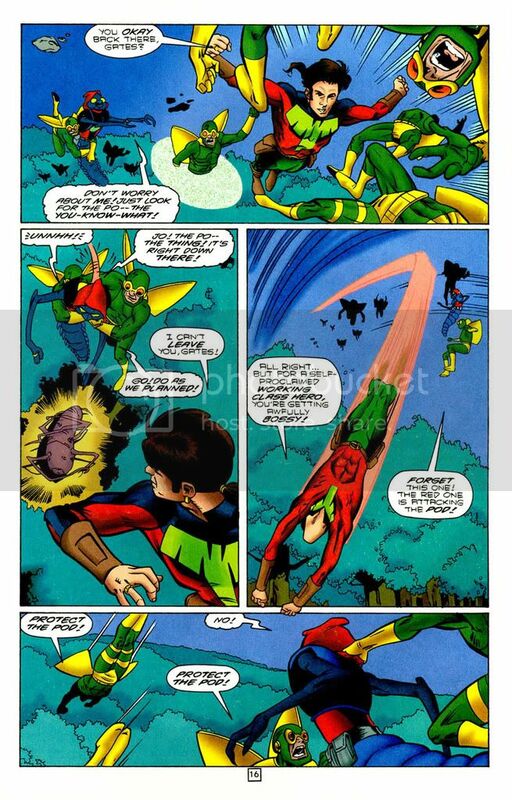 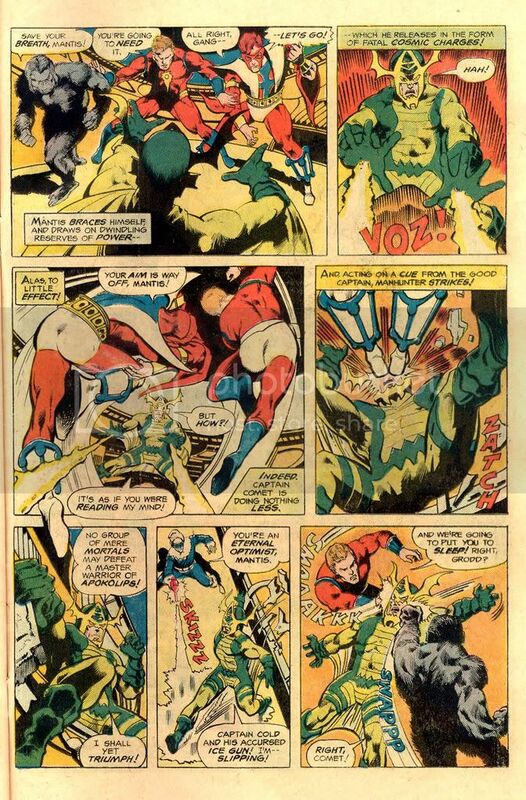 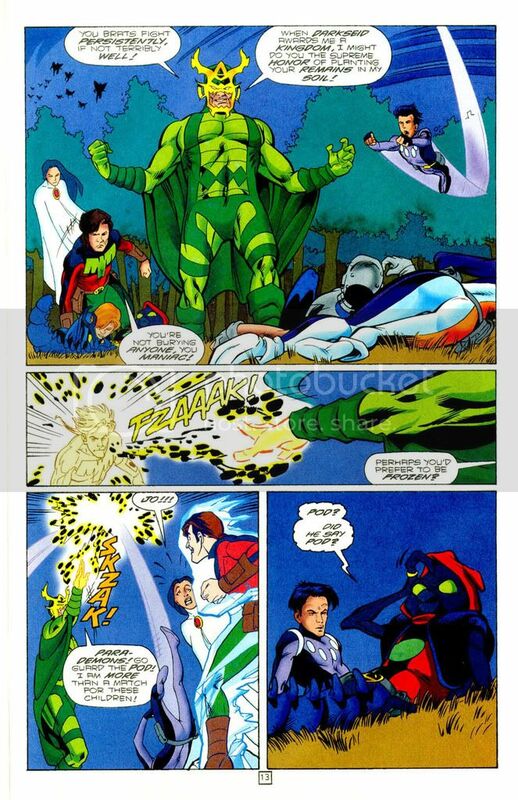 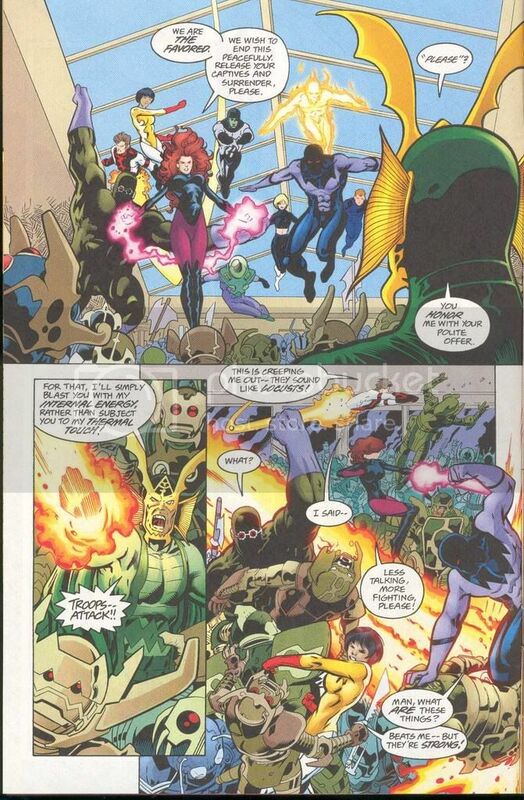 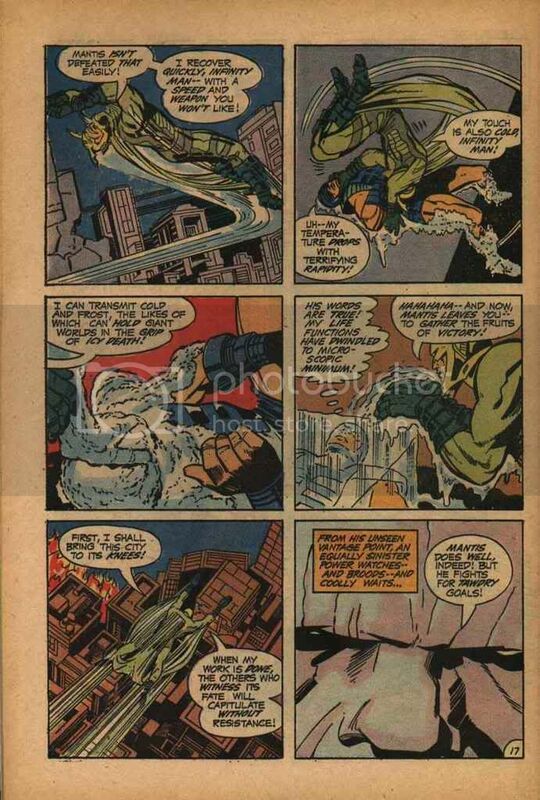 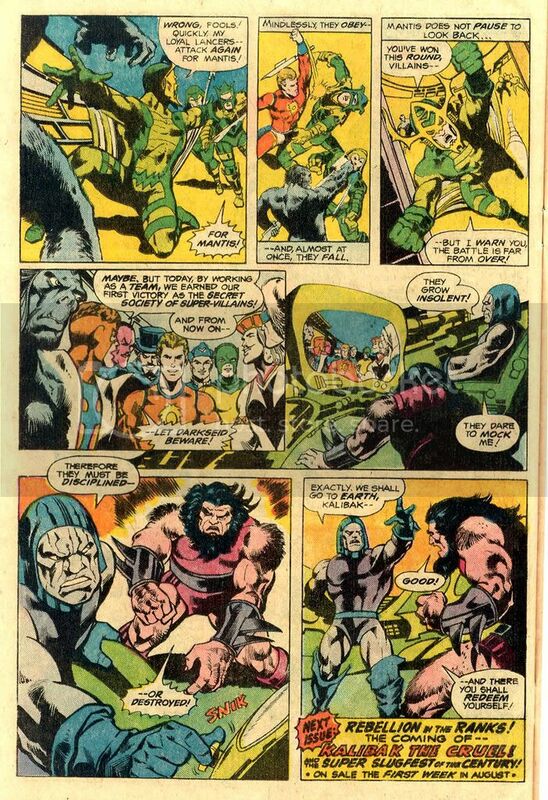 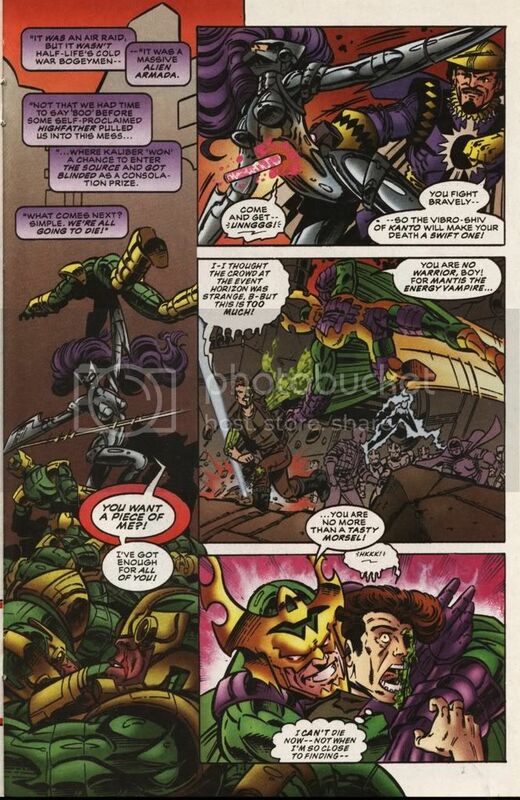 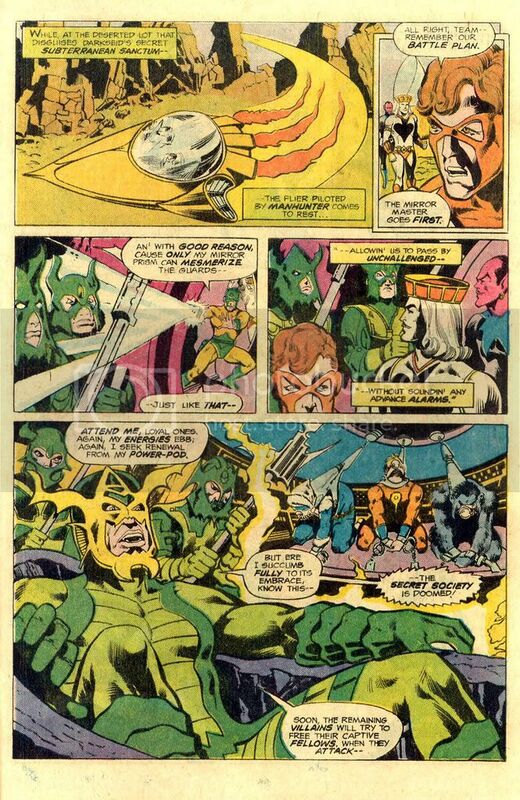 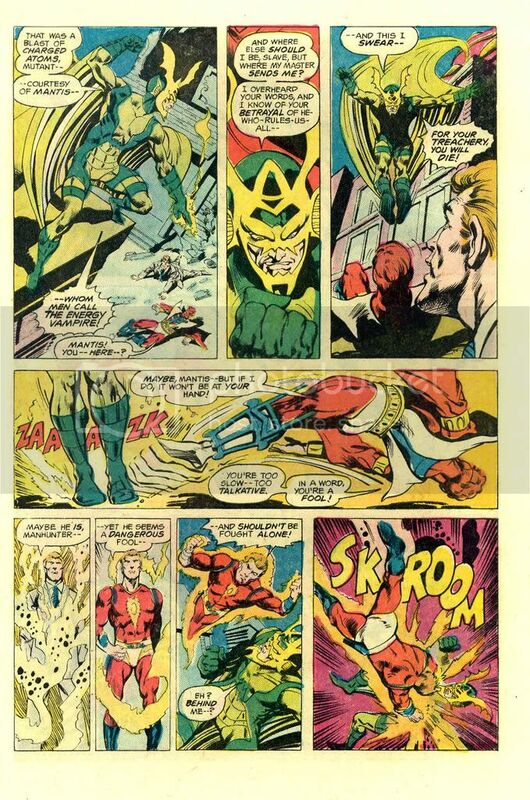 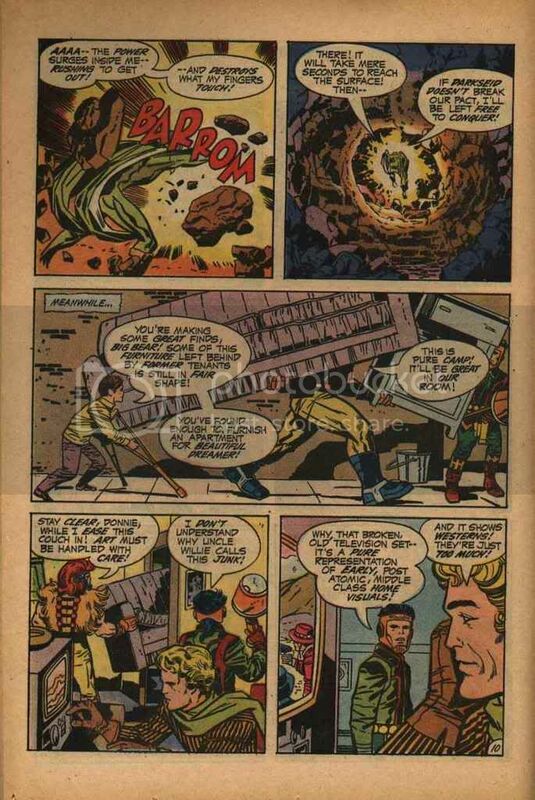 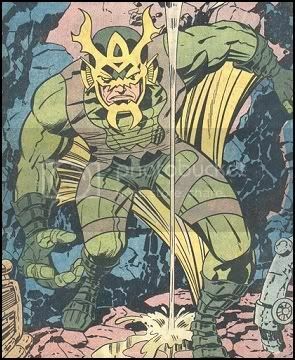 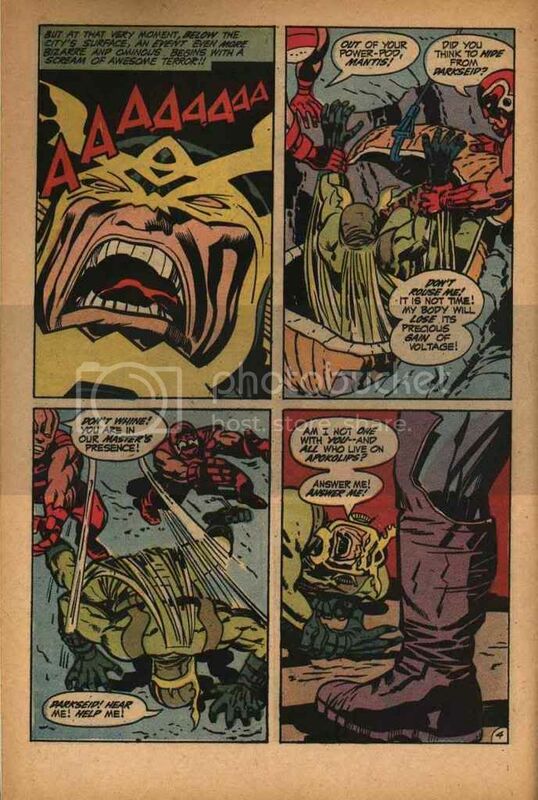 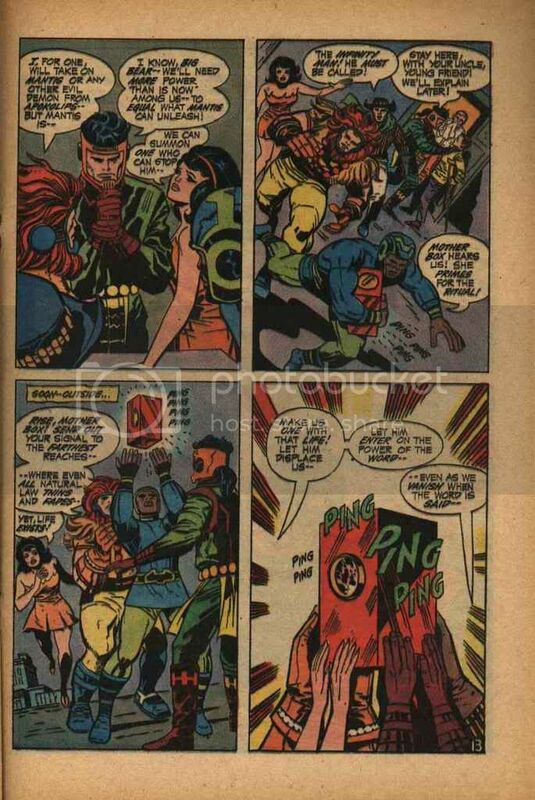 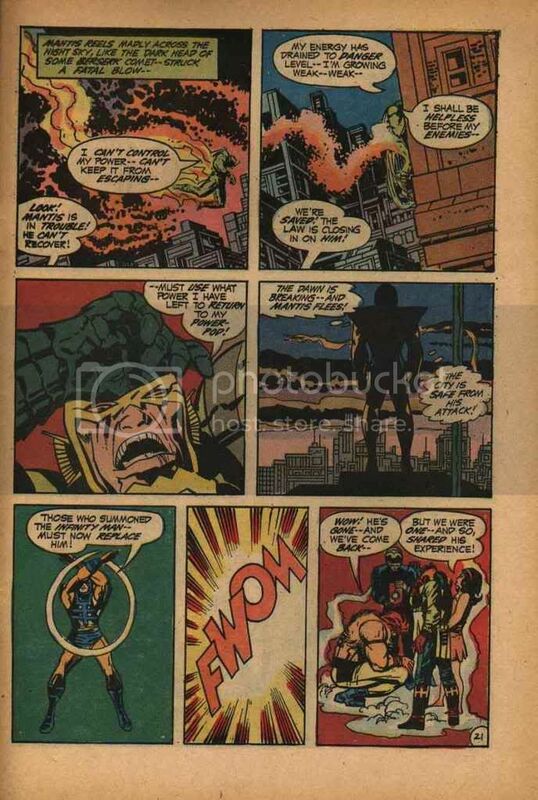 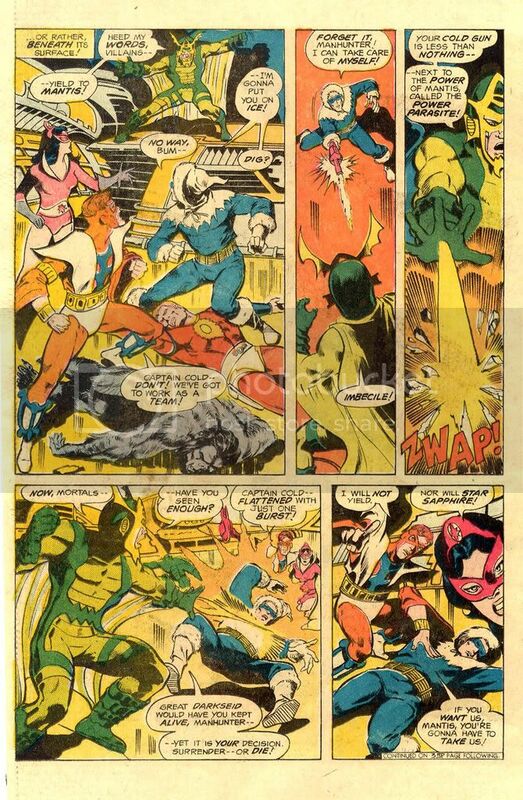 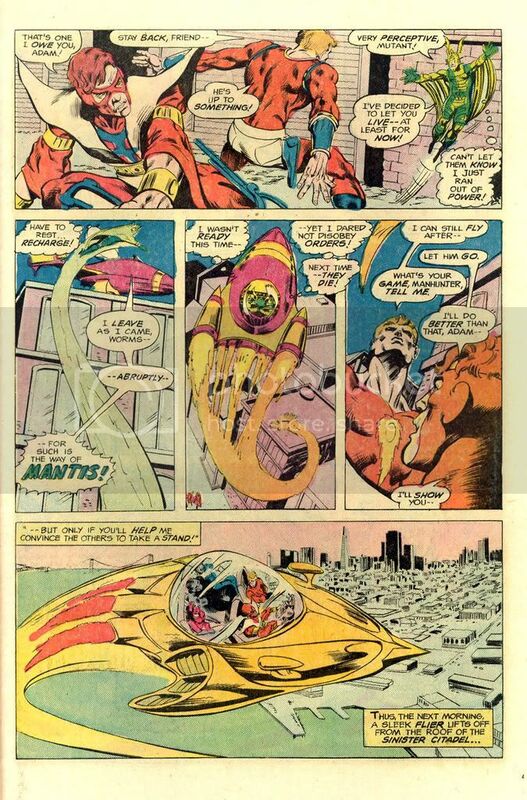 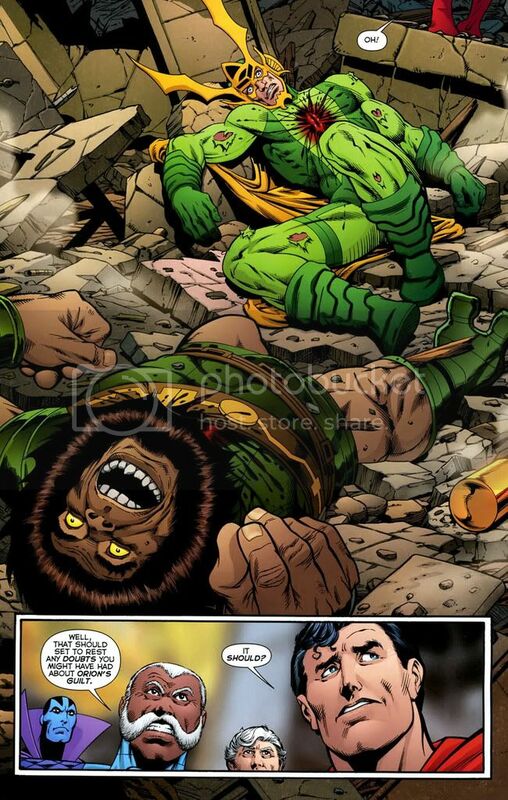 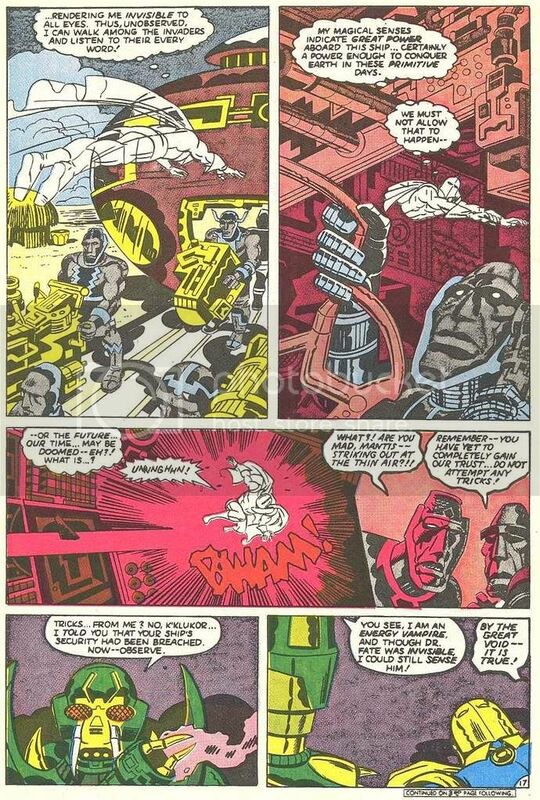 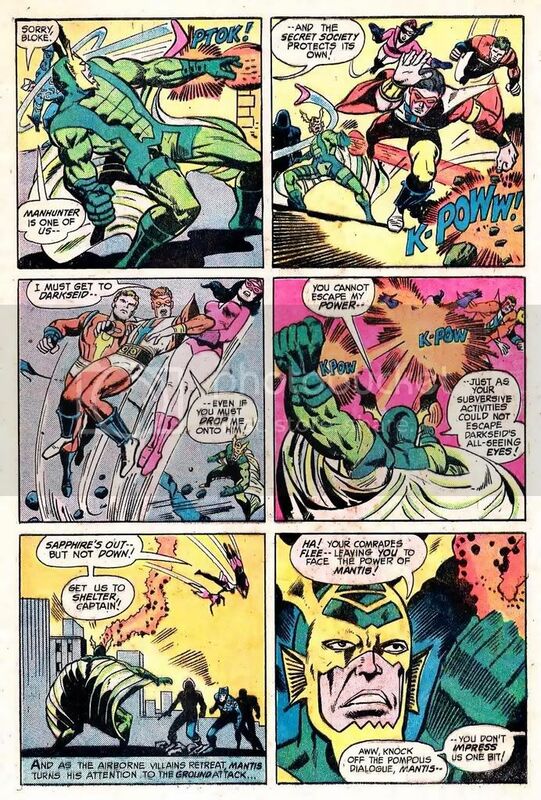 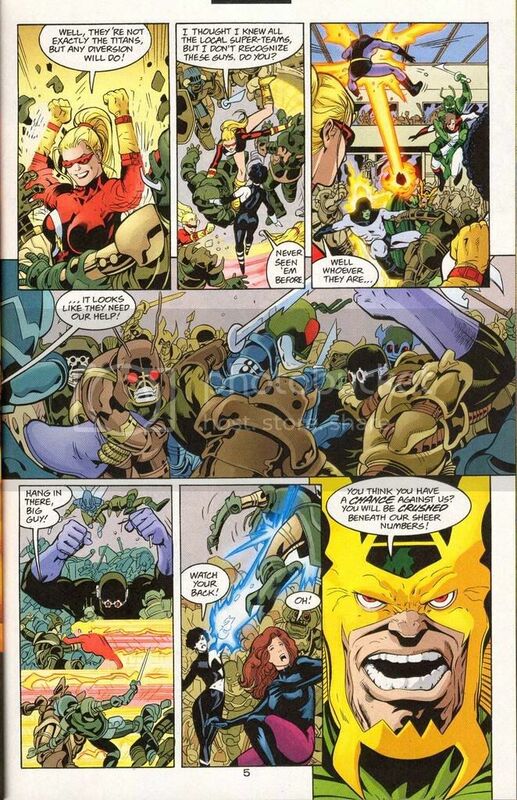 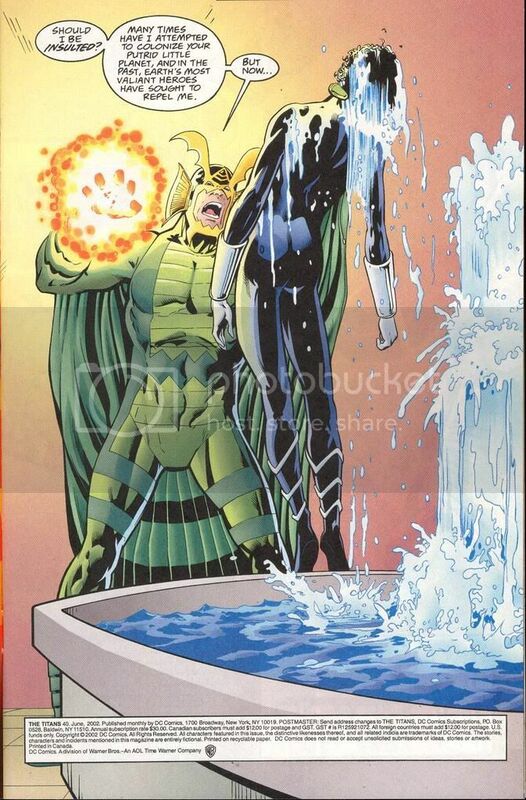 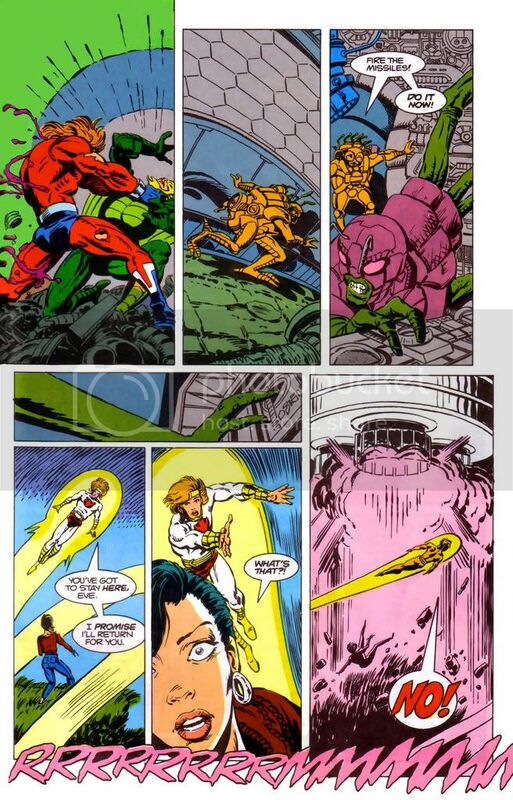 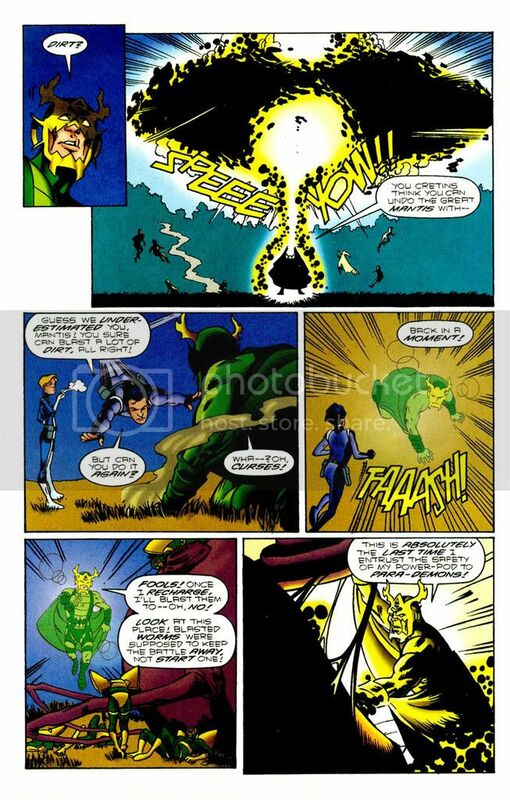 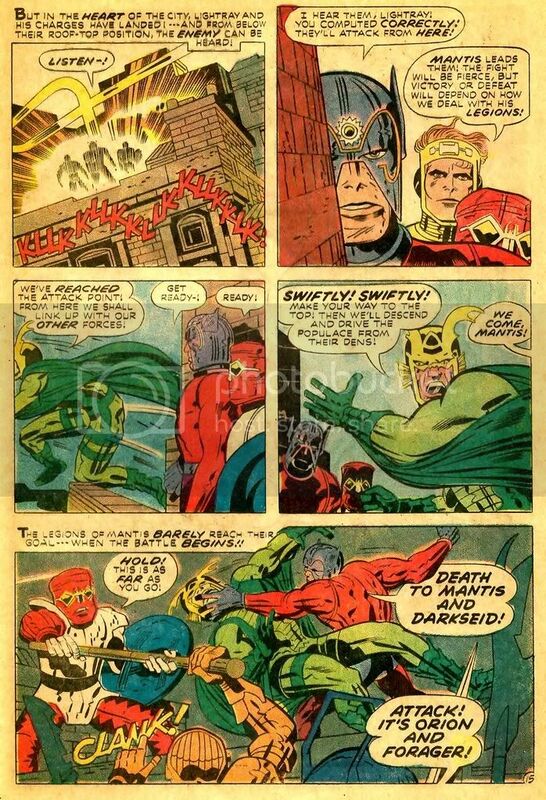 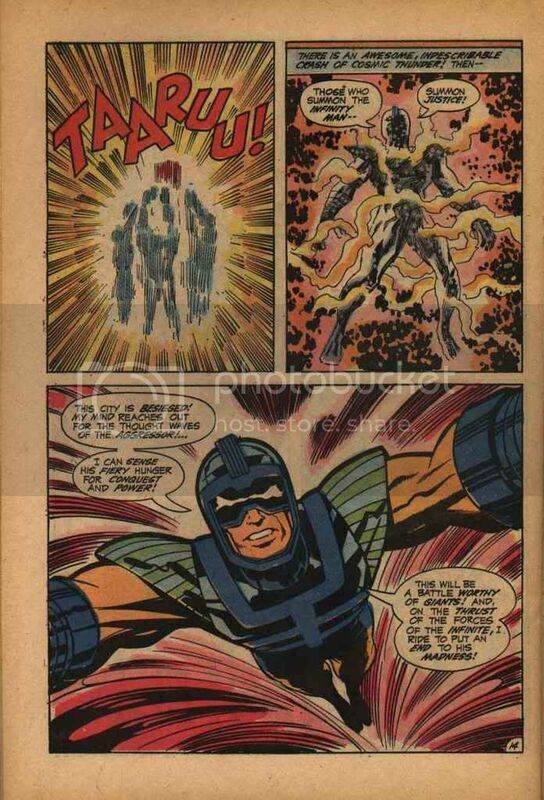 Mantis even one shots the powerful Forager and that’s what set Orion off as he believed he killed her. 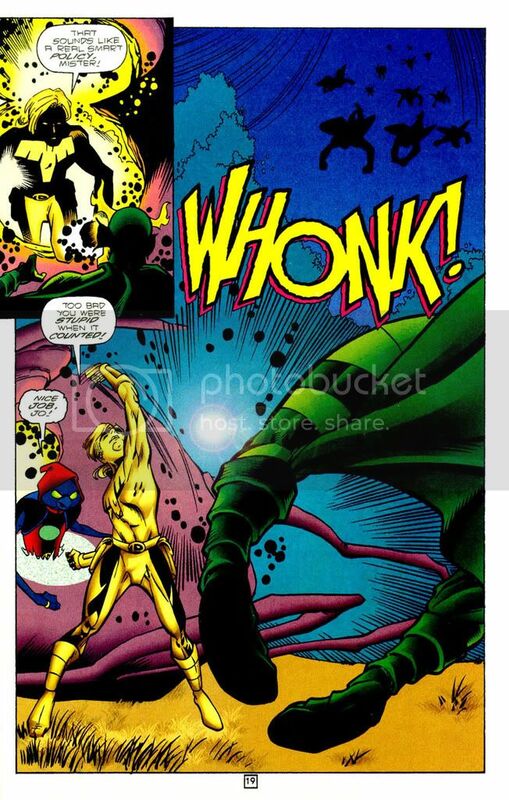 The links are taking me to images that don't correspond to the descriptions for some reason. 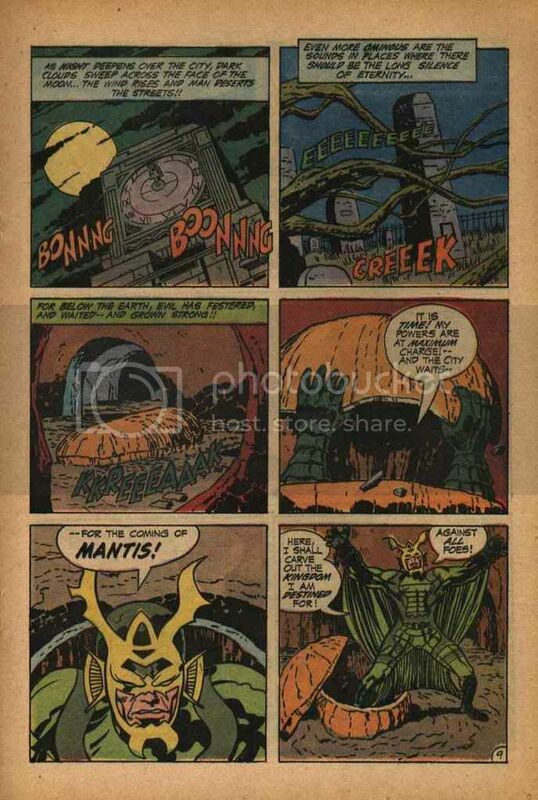 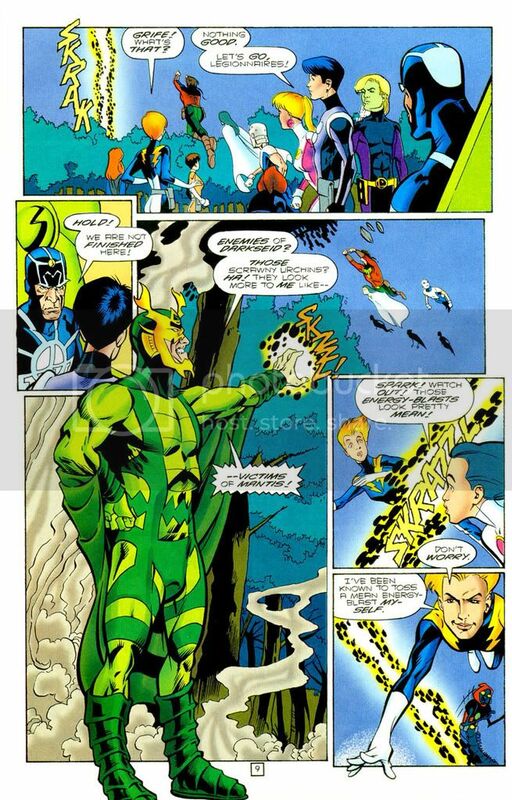 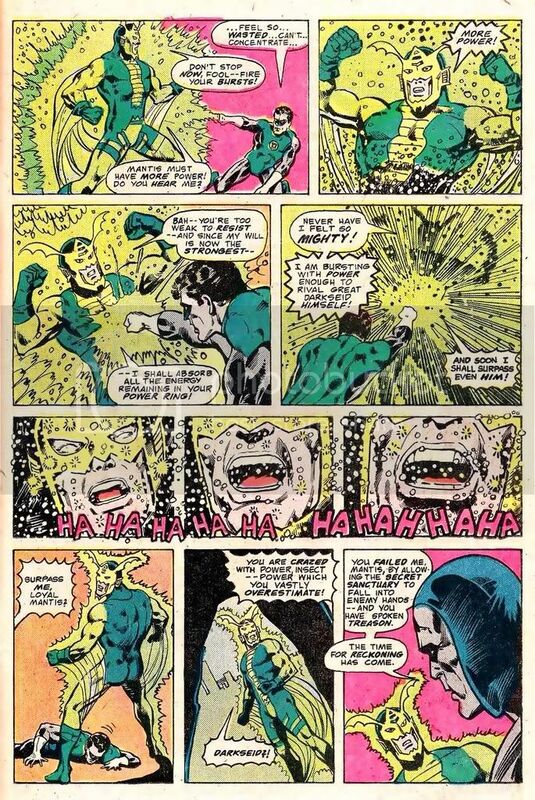 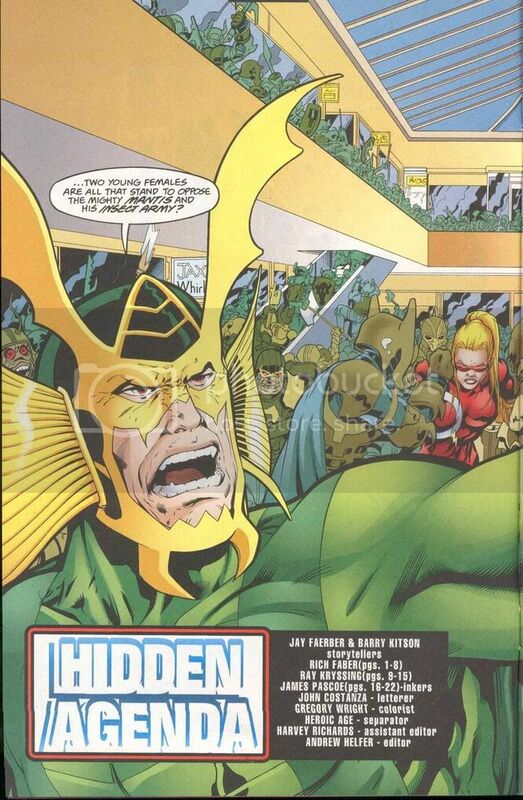 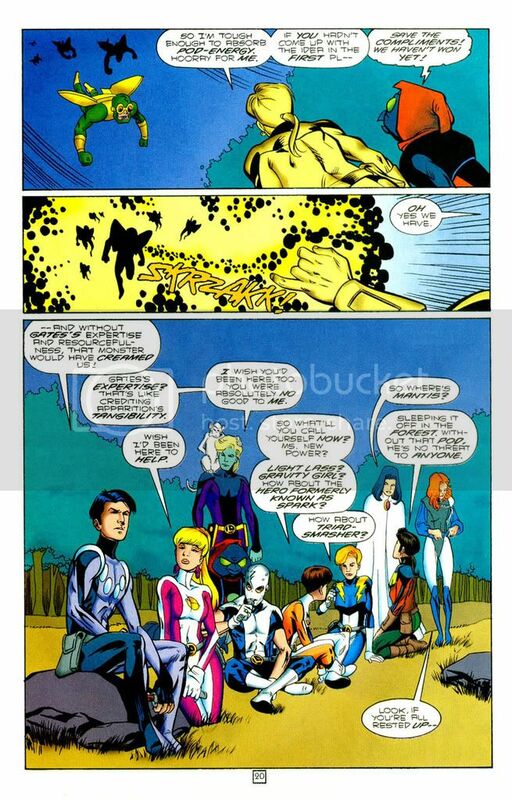 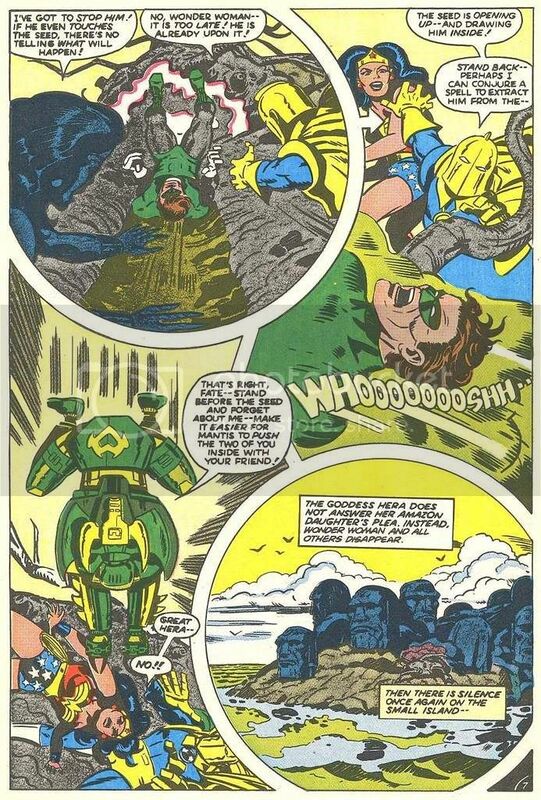 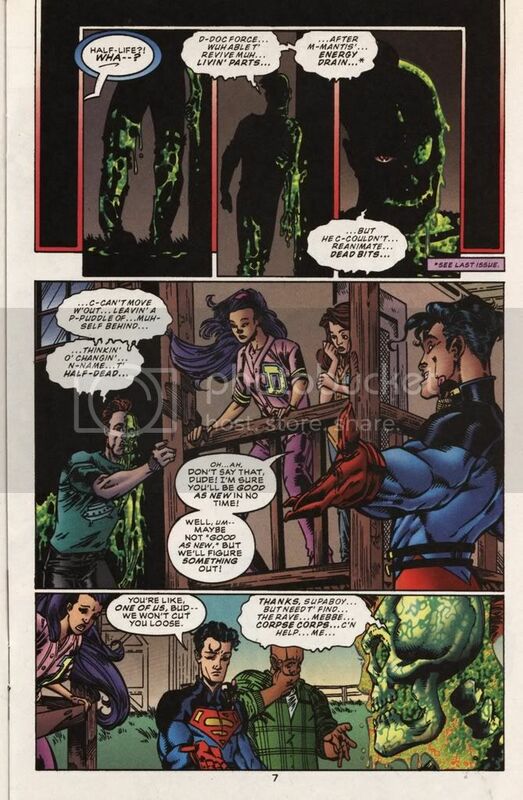 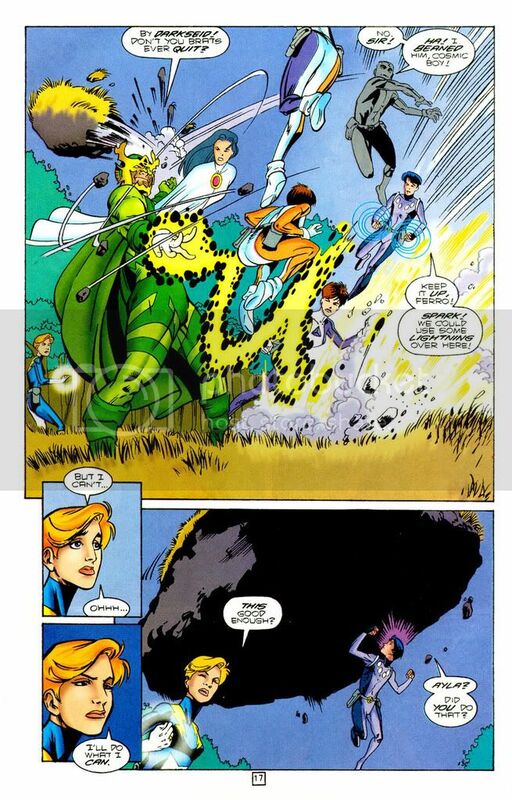 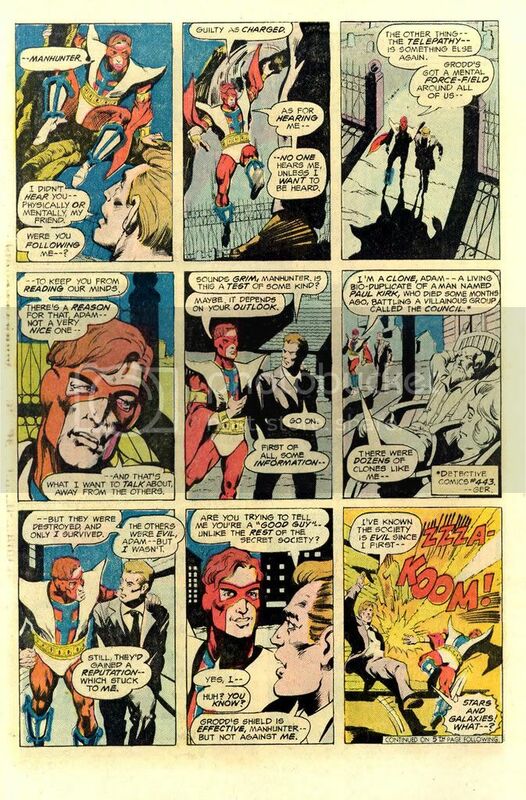 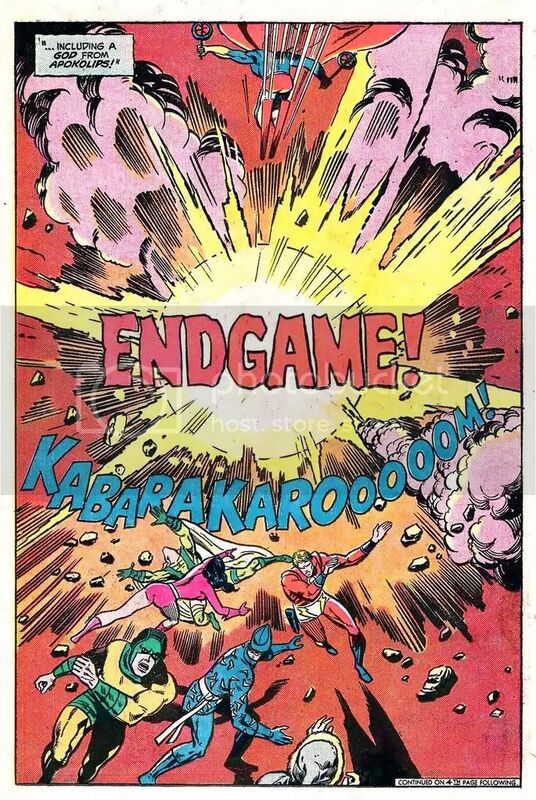 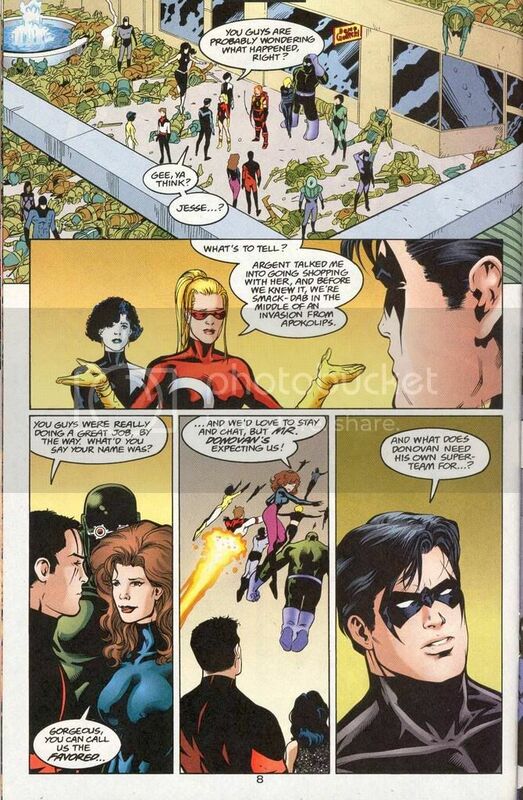 One was of Captain Comet where it said it would show Mantis absorbing Star Saphires power, the Hal Jordan ownage showed mourners at a grave... Hal's? 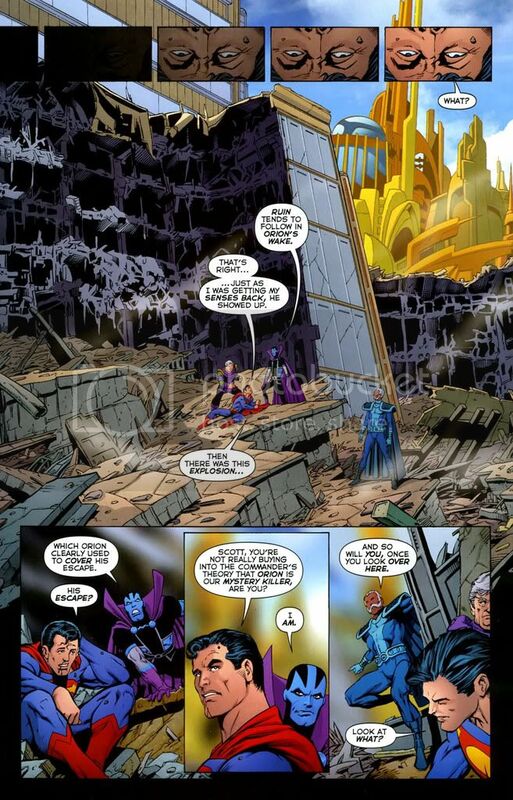 Edit: Yep I double checked. 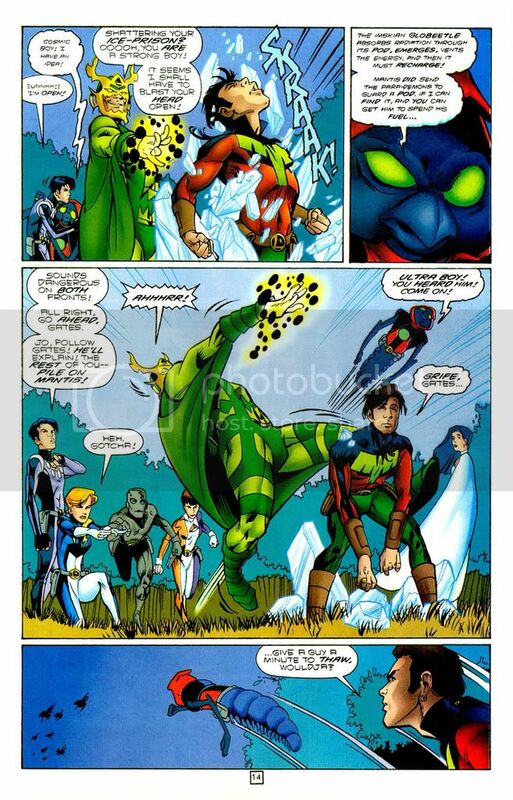 Links are good if you click them using a computer/laptop; somehow phones don't like photobucket to much.